In recent years it has been more common for the patient to ask for white fillings. The material Composite is a stronger more durable natural coloured filling material. White filling material can be placed in any tooth, the only dictating factor being the size of the filling. The advantage of choosing a white filling material opposed to a silver filling is aesthetics. The most common type of filling is dental amalgam, made from a mixture of mercury and different metals. Amalgam fillings are often used on your back teeth as they are hard-wearing. Your dentist will offer you the type of filling most appropriate for your clinical (medical) needs. This may include a tooth-coloured (white) filling. 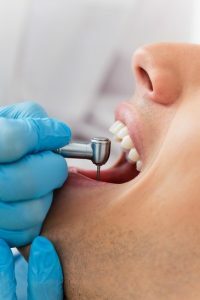 For example, if you need a filling for one of your front teeth, your dentist may suggest a tooth-coloured filling, but the use of tooth coloured fillings on back teeth is considered purely cosmetic.